US-based social media platform Twitter Inc. has appointed Indian Institute of Technology-Bombay alumnus Parag Agrawal as its new chief technical officer, the company website shows. A Twitter spokesperson confirmed the development to TechCircle. As CTO, Agrawal will oversee the scaling of machine learning and artificial intelligence capabilities across Twitter's consumer and revenue product and infrastructure teams, the spokesperson said in an emailed response. Agrawal has been with the social media firm since 2011 and was appointed CTO in October 2017, his LinkedIn shows. Prior to Twitter, he was a researcher at tech giant Microsoft and telecommunications giant AT&T Labs. “Parag has played an integral role in our technical strategy throughout his tenure at Twitter, including spearheading our efforts to make the home timeline more relevant using machine learning and incorporating a more rigorous approach to data analysis in product development,” the spokesperson added. Agrawal holds a bachelor’s in engineering from IIT- Bombay and a doctorate in computer science from Stanford University. In 2016, Twitter saw a series of senior-level exits, which came about amid talks of a possible sale to several technology companies, including Google and Salesforce. Media reports at that time, however, stated that the transaction was not certain and no timeline for the buyout had been decided upon. Besides Google and Salesforce, Verizon Communications and Microsoft were also reported as possible contenders to acquire Twitter. In November 2016, Adam Bain, the platform’s chief operating officer, resigned and was replaced by chief financial officer Anthony Noto. However, in January this year, Noto too quit the firm. Just before Bain’s resignation, in early November 2016, Twitter India’s head Rishi Jaitly left the firm after a four-year stint. Soon after, Parminder Singh, who was the company’s managing director for India, Southeast Asia and Middle East and North Africa (MENA) region, stepped down. A couple of months ago, in July 2016, the microblogging site’s Asia chief Shailesh Rao also left the firm. Another sign of the social networking site’s struggles was when it shut down its global engineering work at its Bangalore development centre and laid off employees. However, the firm is still running an office in southern Indian city. In October 2015, it laid off about 300 employees or 8% of its workforce in the US. However, business news platform Bloomberg reported in January this year, citing a tweet by Citron Research, that there was renewed speculation to acquire Twitter. The research firm speculated that Chinese Internet giant Tencent may buy the social media network. 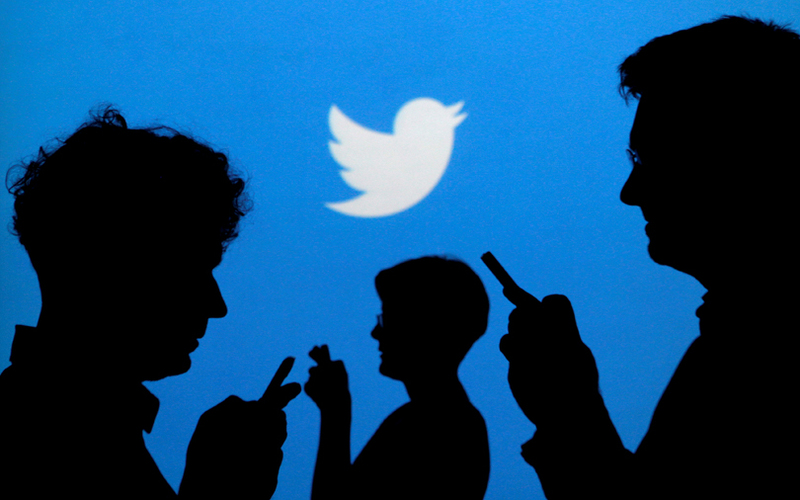 Twitter has been struggling to revive its product and create advertising dollars from its platform. In a bid to become profitable, it decided to target a new demographic base, business users. In December 2017, along with Bloomberg Media, it launched a 24/7 streaming news service called 'TicToc by Bloomberg'. Known for its iconic 140-character tweets, the microblogging platform in November 2017 rolled out 280-character tweets to users across the world.